Nordic Angel Program batch 3 accepting applications from investors AND startups until March 4! Nordic Angel Program (NAP) strikes again! Batch 3 now open for investors (and startups) to find the of the best early-stage companies from the Scandinavian countries and the Baltics. Since February 2018 we have joined with several cooperation partners from the New Nordics - Finnish Business Angels Network, BAN Norway, Danish Business Angels, Civitta, Startup Includer and finally NordicBAN to find and recognise the best startups in the New Nordics. 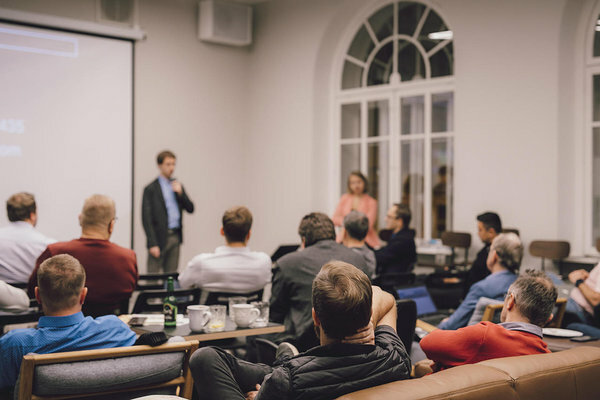 For the first NAP, 35 investors brought together by EstBAN, chose Fractory.co, a company making laser cutting easier, to receive a syndicate investment of €170 000. The company was chosen from more than a hundred applicants from all over the world. We unite with the largest tech and startup events from the area which offers the startups a wide network and visibility - Latitude59, sTARTUp Day. In Spring 2018, the winner of NAP1 was awarded on the stage of Latitude59, as Outvio, the NAP 2 winner who simplifies e-shops to handle their orders and transportation, received a check of up to €250 000 on the stage of sTARTUp Day, in Tartu. For this one, a whopping amount of 52 investors joined in from not only Estonia but Finland, Norway, Denmark and Russia, to select the most promising company from 120+ applications. 1) be a part of a great network of experienced startup investors as well as those with different expertise, who might be just learning on how to invest into startups. People, people, people (not location for this one) for the startups as well as investors, is what really counts. 2) learn how to invest into startups by participating in the trainings, workshops that, in addition to the eventual co-investment, make up the program. 3) expand your dealflow, and getting to know more companies than you would on your own. 4) grow your portfolio for a small ticket. ...and much more! The value lies in the eyes of a beholder. So investors- JOIN IN, by filling out the application HERE. May 17 - Latitude59 final event, where the startup chosen BY YOU, will be announced. The trainings fall between those dates, but no worries, you'll be notified ASAP! For questions and more information, check out www.estban.ee/nap/for-investors or contact anu@estban.ee.